Preheat frying oil to 350°F. Pour some water into a bowl for wetting the wontons. 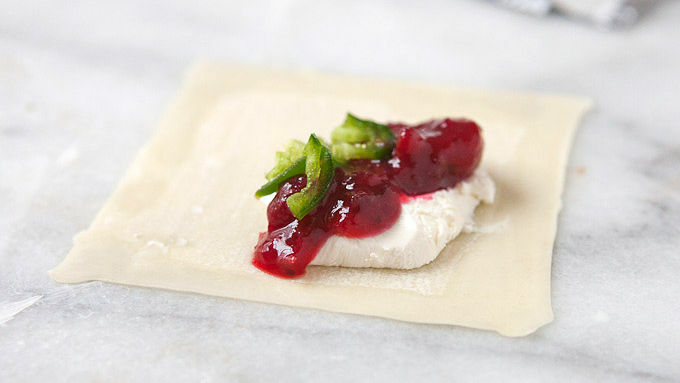 Working with one wonton at a time, add about a teaspoon of cranberry sauce and top with a small dollop of cream cheese. Sprinkle on some minced jalapeno. Wet the wonton around the edges and crimp up the edges. 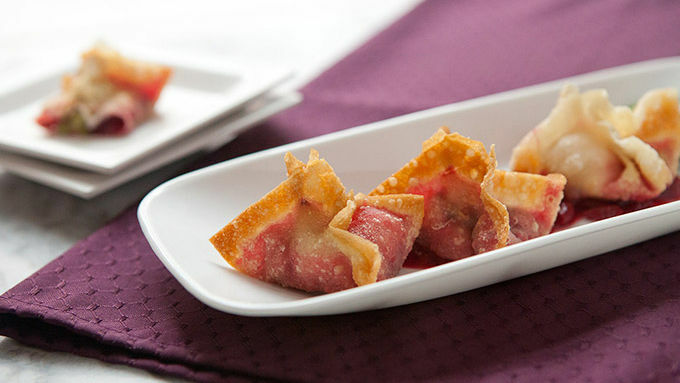 Work out any air in the wonton as you crimp them. 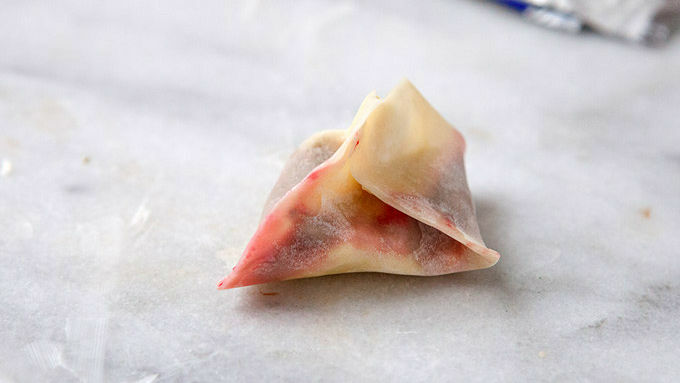 Seal the wonton tightly and repeat with all wontons. Fry wontons in batches of 6-8 for 3-4 minutes until golden brown. Drain wontons on some paper towels and serve while warm. 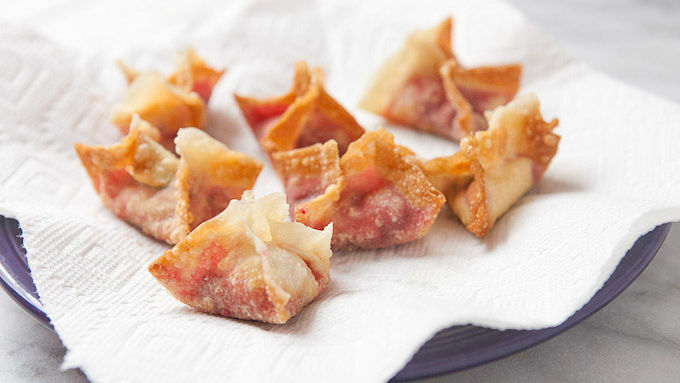 You can use any kind of leftover sauce or jelly in these wontons. They’re very flexible and delicious with any number of flavor combos. Get creative! For a fun and festive party plate, make these cranberry wontons! Let me describe what happens to me every single year (and I’m sure I’m not the only one). I have some sort of delicious sauce I’ve made for the holiday meal, normally cranberry, and after the deliciousness is over, I’m left with some small amount of it. It’s barely enough to serve again, but that’s not to say it can’t be repurposed! These little fried appetizers are the perfect way to use a small, leftover amount of sauce. In fact, they're so good that it’s probably worth making some extra (or opening another jar or can) just for this recipe! I like to make a homemade cranberry sauce packed with orange zest and spices, but this recipe would be equally good with canned versions. Obviously they're best while they are still warm though, so get them while they're hot! These are SO good and a perfect use for any bit of leftover sauce or jam you might have.